For the past few months now I've been toying with the idea of buying a cheap Android handheld to use as a pocketable media player and ebook reader. 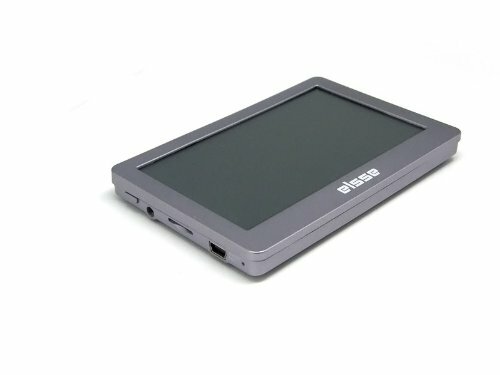 I still haven't found one, but today I came across another 4.3" tablet that almost met my needs. My target device would best be described as the Android equivalent of the iPod Touch. The first device I considered was the Pocket Primer from Skytex, but then Brad Linder reviewed it at Liliputing and the poor hardware and the repeated failed attempts to install apps shot it out of the water. I then considered the Ematic Twig, but the unit I bought had a defective touchscreen and it also had issues with installing apps. And it looked to be the close cousin of the Pocket Primer, so I didn't see a need to get a second unit and try again (I expected to find the same issues). Today I found another 4.3" Android tablet. It looks to have much better performance than either the Twig or Pocket Primer. The Elsse 4.3 (no model name) is listed on Amazon for $69. There's no mention of the CPU, screen resolution, or Flash storage, but the listing does mention that it's running Android v2.2 with Wifi, a microSD card slot, a speaker, and video output. Curiously enough, it comes with both a set of earbuds and the video cables, but there is just the one spot to plug both of them in. 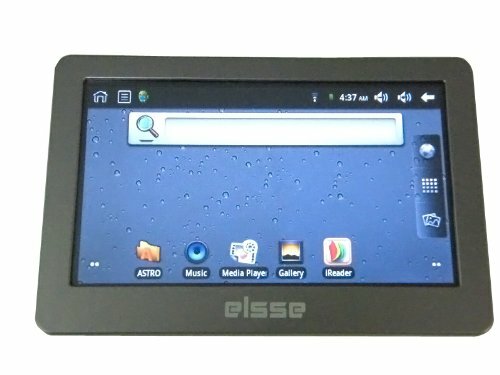 The price and general design suggests that the Elsse 4.3 is closely related to the other 2 tablets, but this one appears to be a much better tablet. I found a video review on Youtube, and this tablet did quite well with Angry Birds. It also has a g-sensor (and can use it), which puts it a step above the Twig. The video doesn't show much, and the reviewer didn't install any extra apps, unfortunately. But I did find a hint on SlateDroid that the Angry Birds app was customized for a MIPS CPU. This tablet was also reported as shipping with the Android Market, and one owner commented that the supply of apps was sparse. BTW, I've gotten mixed reports on the battery life. The Youtube review said it only had about 3 hours (with a standby time which is measured in hours, not days. ), but an owner reported getting over 6 hours with Wifi off. That's a big difference and it almost makes this tablet worth getting. Based on the comments from owners I'd say that this could be the tablet for me. But I already have gadgets coming and CES is in the near future, so this one will have to wait. I went to YouTube before I saw your link for it, then came back after watching half of the video. My advice: Stay the hell away from it. i’m a little baffled why you are comparing sub $100 android tablets to a $200+ ipod touch. its just destined to loose if you dont even keep things even in price comparison. from the looks of things your judging it by new vs new in that case the kindle fire is probably the closest match to price/performance comparison(does it need a root for android market?) or am i missing something in your calculations. though i bet if you looked around in $150-200 price range you probably could find a device almost as good as the fire with better ports and direct android market support. First, I’m cheap. Also, when I got an iPod Touch 2 years ago it only cost me $150. The iTouch retail may not have changed any in that time, but it’s not unreasonable to expect other devices to now cost less. But the main reason I mention the iPod Touch is to better define what I’m looking for – a pocketable media player. I know they will fall short but I was planning to take that into account. BTW, if I wanted a true iTouch competitor, I would go for the Samsung Galaxy player. But I’m too cheap for that. What? I have a LifeDrive. It has a *416* MHz CPU. It plays DiVX AVIs just swell on it! In fact, it’s played videos my crappy desktop has choked on! Except the LifeDrive wasn’t running Android. It’s a resource hog compared to Garnet or WinCE. Not trying to sound aggressive, but why do you want an Android PMP so much? Smartphones (which run the Android market and usually provide someone you can shout at in case anything goes wrong, such as a carrier) are collapsing in price. For example, the ZTE Score retails for $50 at Amazon, which is suspiciously cheap. Even outside that, you can get several Android phones for a bit nort of $100, and the ZTE Warp for $200. You may pay 50 dollars more, but you also get 3G and phone calls. And you don’t need to sign a 2-year contract, although sometimes you need to activate a one-month data plan (that you can subsequently use, of course). In the end, I think there isn’t much price room left for PMPs. With the invasion of low-cost Android smartphones, you can really have a cheap device that substitutes several devices. I already have a phone – 2, in fact, counting the landline. I don’t need another. In fact, I use my cell so little that it’s on a pay as you go plan. Its cost me only $150 over the past couple years. But you still have a good point. Maybe i should look at the cheap contract free Android phones and see if they would do what I want. The hardware would almost certainly be better. That is a good point. I bet there are, or will be, tons of refurbished no-contract smartphones we can use at some point as a PMP for $100 or less.